Dr. Danovitch is the Chairman of the Department of Psychiatry and Behavioral Neurosciences at Cedars-Sinai Medical Center in Los Angeles. He earned his bachelor's degree from UC Berkeley, and his medical doctorate from UCLA. He completed psychiatry residency at Columbia, an addiction psychiatry fellowship at Cedars-Sinai Medical Center, and a Master of Business Administration at the UCLA Anderson School of Management. Dr. Danovitch’s research is focused on substance use disorders, particularly marijuana, as well as the integration of medical and mental health services. He is the author of over 50 original articles and book chapters. 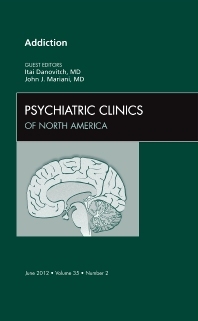 He was co-editor of the 2012 Psychiatric Clinics of North America special edition on addiction. As an educator, Dr. Danovitch has been recognized with the Golden Apple Award for Excellence in Teaching. Dr. Danovitch is a Distinguished Fellow of the American Society of Addiction Medicine, a Fellow of the American Psychiatric Association, and Past President of the California Society of Addiction Medicine. In 2016 he was appointed by Governor Jerry Brown to serve as a Commissioner on the California Mental Health Services Oversight and Accountability Commission.